A bill influenced by Montana’s congressional delegation passed the U.S. Senate on Thursday in a bipartisan effort to reduce the time veterans wait for appointments with the Department of Veterans Affairs. 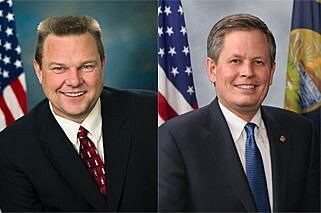 Sen. Jon Tester, a Democrat, and Steve Daines, a Republican, both supported the 2017 Military Construction and Veterans Affairs Appropriations bill, which increases VA investments by $3.4 billion. Of that, roughly $250 million will go to improve veteran care in rural states like Montana. “These additional resources will help eliminate the barriers that are keeping veterans from accessing the timely care they have earned,” Tester said. Daines also included an amendment during the committee process to protect a veteran’s ability to discuss with VA physicians the use of medical marijuana in states where it’s legal. The bill includes $495 million to expand and improve VA facilities and $1 billion to increase medical services for female veterans, homeless veterans, medical research, and veterans needing long-term care. The measure also includes $46 million to hire 300 new VA claim processors and 240 additional employees for the Board of Veterans Appeals to address the current backlog in VA disability claims. There’s also $7 billion for the Medical Community Care account to help veterans needing specialty care receive treatment outside the VA system.